Technology is helping us become a bit more tech-free. The Light Phone 2 is a gorgeous, minimalist “dumb phone” that can only do a handful of things. The phone doesn’t have any apps. Instead, it can make calls, send texts, handle simple directions, and set alarms. Light, the company behind the phone, wants to make a device that is used as little as possible in an effort to get people off their smartphones. Brooklyn-based startup Light has set for itself an impossible goal: getting people to put down their smartphones. Light launched in 2014 and debuted its first product a year later, the Light Phone. It could only make calls and tell the time. Light intended the phone to be something of a companion to your smartphone and a way to get people to leave their phones at home and go enjoy life. Now, Light is back with its second product: the Light Phone 2, an upgraded version of its phone that might just replace your smartphone for good. The second-generation device couldn’t be coming at a better time. There’s increased scrutiny on how too much screen time affects our brains, and a movement among even the most tech-savvy parents to limit how much access their kids have to smartphones. Apps that discourage too much smartphone use are gaining steam, and users are becoming wise to the tactics used our favorite apps use lure us in and keep us hooked. This is why Light’s new device is intentionally limited. The Light Phone 2 will be able to manage some of the key tasks that keep us connected — calling, messaging, and getting directions — while eliminating time-wasters like social media apps and games. Light was founded by Joe Hollier and Kai Tang. Hollier’s background is in art, design, and filmmaking, and he used to run a studio and skateboarding company called Five on That. Tang worked in product design and development and spent 10 years traveling the globe. Hollier and Tang met in 2014 when they were asked to design smartphone apps at a Google incubator. But Hollier and Tang agreed that the world had enough addicting apps and decided to design a phone intended to be used as little as possible. Recent data from analytics firm Flurry pegged daily smartphone use among people in the US at five hours per day. Another study, this one from tech support firm Asurion, says Americans check their phones 80 times each day on average. Most of that constant use is thanks for apps. 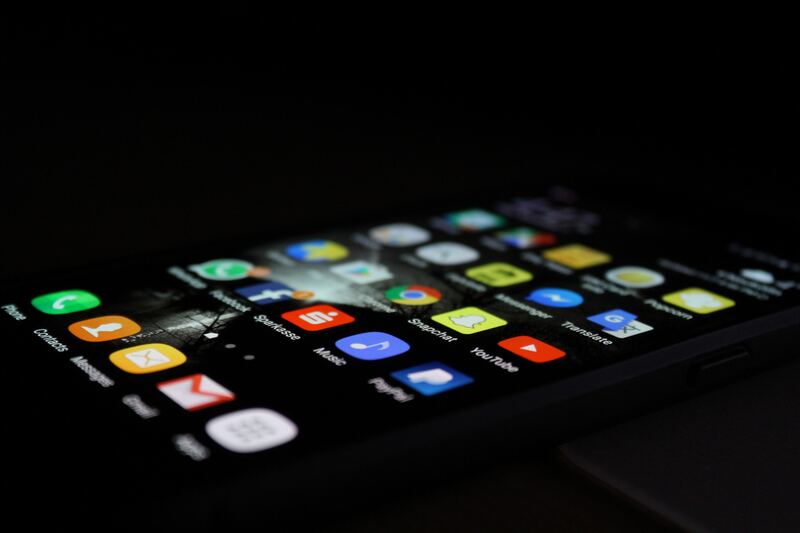 Several of the most popular smartphone apps on the planet — like Instagram, Facebook, Twitter, and Snapchat — have been designed to use psychological tricks to continuously grab your attention. At this point, even Silicon Valley parents — the ones often responsible for building these addictive apps and devices — are raising their kids to be tech-free. Light launched its first product on Kickstarter in 2015. Called the Light Phone, it was only capable of making and receiving phone calls. Hollier and Tang designed the phone as something of a security blanket for smartphone users — you could leave your smartphone at home and “go light” using only the Light Phone. People could still reach you, but you’d be forced to look up from your phone and experience the world around you. The Light Phone wasn’t just technical — it had a philosophical message. Hollier and Tang wanted to encourage users to consider the importance of disconnecting from the digital world. “We are becoming scared of boredom, scared of solitude,” Light’s founders wrote in a blog post about how the company got its start. Now, Light is back with its second-generation phone — the Light Phone 2. Light says it falls somewhere in between the original device and a smartphone. It isn’t as basic as the first-generation phone, but it still doesn’t have apps like a smartphone does. The Light Phone’s most important new feature is the ability to text. The original Light Phone could only tell the time and make calls. But the Light Phone 2 can send and receive text messages, which will likely make it more enticing for users who are afraid to completely give up their smartphones. The Light Phone 2 has also added an alarm clock, larger speaker, microphone and physical buttons. Light says that the Light Phone 2 is easier to use than the original device, and could even be your only phone. The original device was intended to be used as a companion to your smartphone. You could set up call forwarding through Light’s computer app, then leave your smartphone at home for short periods of time. But since the Light Phone 2 has more features, it could theoretically handle long-term, daily use. Light is hoping to target smartphone users who feel frustrated by the complexity of iPhone and Android devices. Plus, the phone has a headphone jack. It’s only 6.5 millimeters thick and about the same length and width as a credit card. The Light Phone 2 will be able to slip into a shirt or pants pocket with no problem. Because of its small, slim size, it even fits into some wallets. You can pre-order the Light Phone 2 for $250 starting March 1. The phone will eventually cost $400, but is available for the discounted price for the next 25 days of Light’s Indiegogo campaign.